the low $200s. To be completed in early 2021. The new shape of downtown living. Layered and tailored to fit your lifestyle. Innovation District of downtown Kitchener. 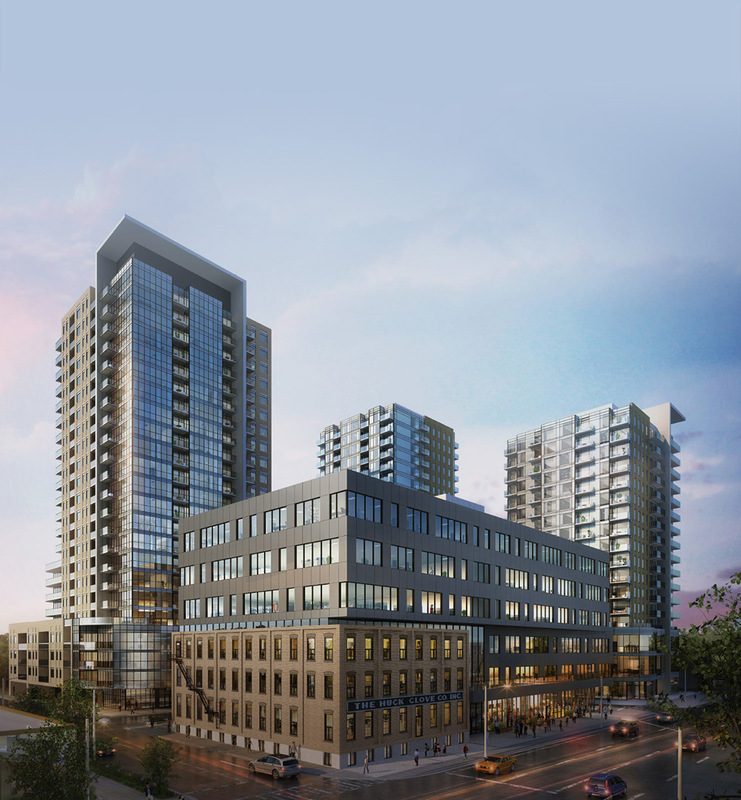 The flagship tower coming to garment streetin early 2021!register now! under construction and 90% sold! move infall 2019. over 130,000 sf of mixed post & beam, refined, modern class Aoffice spaces. enquire about leasing. everything you need, only a walk away. 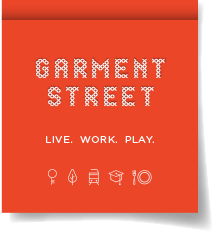 Click the play button below to see Garment Street in action! The bright life on Garment Street. There was a time when Kitchener’s downtown bustled with factories that produced the clothing our community, and nation, wore. People worked together, built communities together and celebrated a better life. 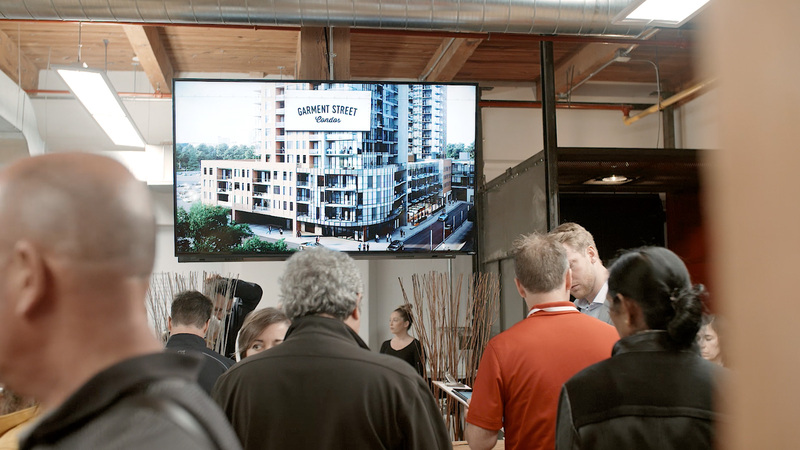 Today, Garment Street Condos gives us a downtown lifestyle that includes opportunities to live and play while we boldly work to create new products for today’s world. 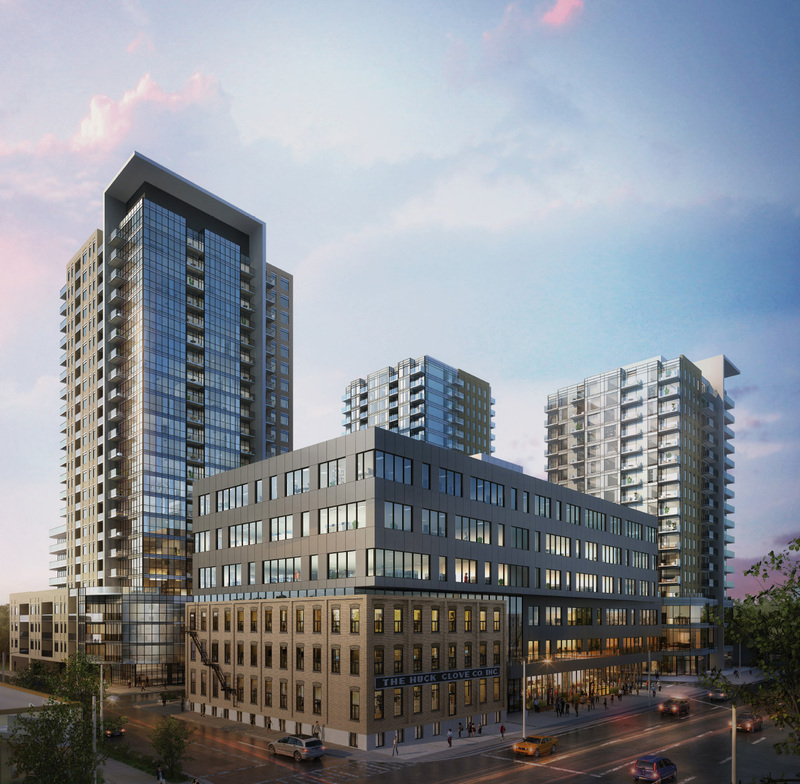 You’ll live steps from the new ION light rail system, the region's future multi-modal transit hub, Victoria Park and Kitchener’s vibrant downtown. Garment Street puts you in the heart of the Innovation District, where university and college campuses and countless tech companies (including Google) call home. It’s finely tailored living. That fits. 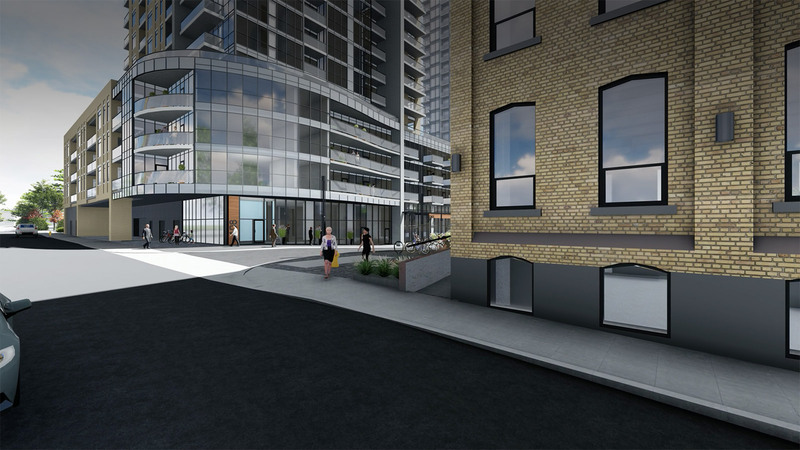 Garment Street Condos will be located at the corner of Victoria Street South and Bramm Street in Kitchener. The Garment Street Condo lifestyle. 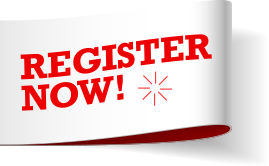 Register to get sales information and project updates. Garment Street Condos is the flagship condominium tower on Garment Street which is scheduled for completion in early 2021. Click here to download floor plans. All renderings shown are artist’s concept. Some photographs used are stock images to illustrate lifestyle. Please speak to a Garment Street Condos sales representative for further details. E&OE.